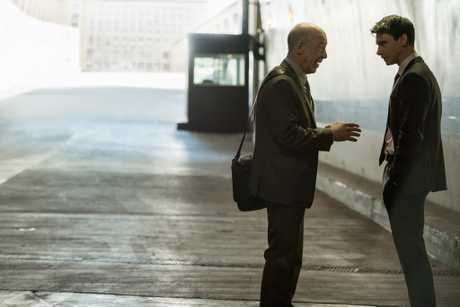 THE spy thriller Counterpart brings new meaning to the term double-crossed. The American drama centres on a UN employee who discovers the agency he works for is hiding a gateway to a parallel dimension, which was accidentally created during a Cold War experiment gone wrong. 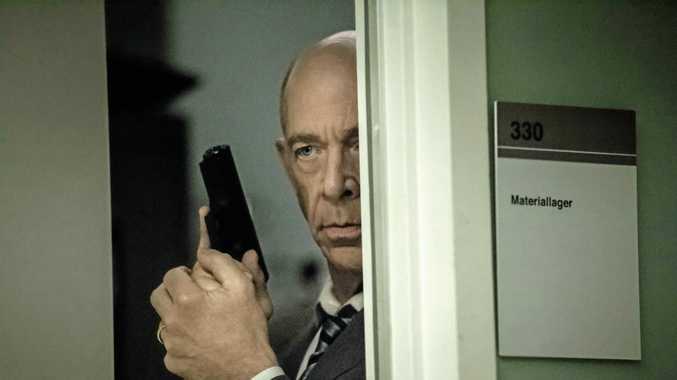 JK Simmons plays Howard Silk, the lowly cog in the bureaucratic machinery of the Berlin-based UN spy agency, but everything changes when he meets his 'other' - Howard Prime (also Simmons). His near-identical counterpart is familiar yet foreign all at the same time. With 30 years of different choices and their consequences behind them since their paths diverged, each represents what could have been for the other. But there's not much time to dwell on the past, or the future, with an assassin from the other dimension on the loose. She's targeting Howard's wife and the other Howard is trying to capture her to take her back to her home world. 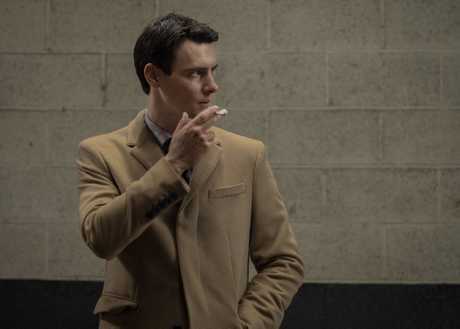 Actor Harry Lloyd had just moved home to London after two years working in the US state of New Mexico on the TV series Manhattan when the project turned his attention back across the Atlantic. "The day all the furniture arrived I was offered the part. It was some horrible timing, but it was one of those scripts you read them every now and again," he says. "I got to read a few scripts, not just the pilot, so I knew it wasn't just a great opener. It felt like some fantastic 20th century novel I'd never heard of. Despite the logistical challenges it was such an easy decision. I'm still enjoying it. It's one of my favourite things I've ever done." Best known for his starring role as Viserys in season one of Game of Thrones, including the memorable scene where his character was killed off by having melted gold poured over his head, Lloyd plays Peter Quayle, the spy agency's inept director of strategy. "He's a bit of a hollow boss. When we meet him for the first time he appears to be a bit of a douche bag," he says. "He's someone who has arrived at his position through means other than his own skills or work ethic. For whatever reason he is entrusted with this secret. "He's running from episode one onwards to save his job, his life. As it gets worse and worse we get to see what he's really like under this veneer he hides behind. We see his weaknesses ultimately, but also his strengths. "We're filming season two at the moment and on set yesterday Justin (Marks, the creator) and I were talking about this scene and he said 'Quayle is like a snake. You only need a tiny bit for him to get through. He's always looking for how he's going to survive'." Quayle tells Howard he's lucky to have the chance to meet his other. So will Quayle get the same opportunity at some point in the show? "Every character does have a double. Whether we meet them now or later or ever is something we can't reveal." he says. "But the question does stand. If I were to have an other I would be very curious." Season one of Counterpart is available to stream on SBS On Demand from Saturday, June 16.